I was speaking to a dealership the other day and the topic of social media and time management came up. ” for himself. He mentioned he would be a happier camper if he could successfully manage the 5 dealership Facebook pages down to 4 hours a week in itself. I asked him if he had an iPhone. He did. I asked him if he had the newer Facebook Pages Manager app. He didn’t. I informed Josh that he needs to download Facebook Pages app for his iphone. 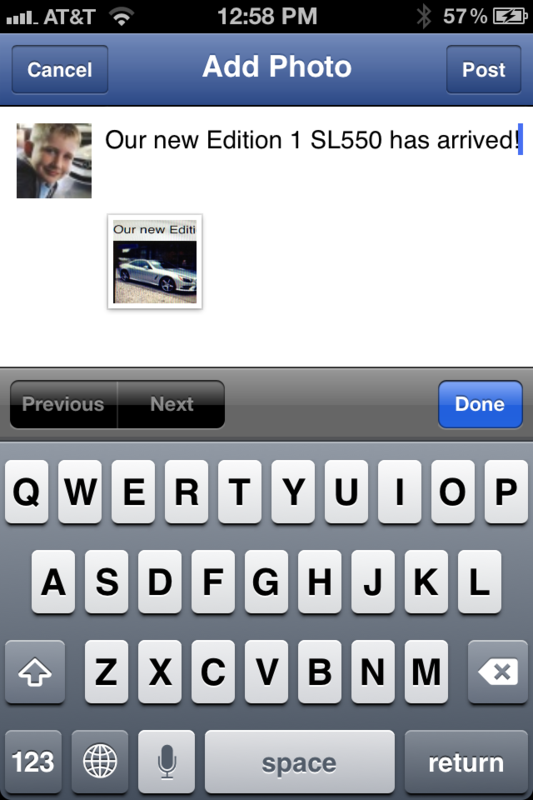 It’s not only a time saver but allows you to manage your dealership facebook pages on the go. So it got me thinking – If Josh wasn’t aware of this app, how many others aren’t? Hence the reason for this post. 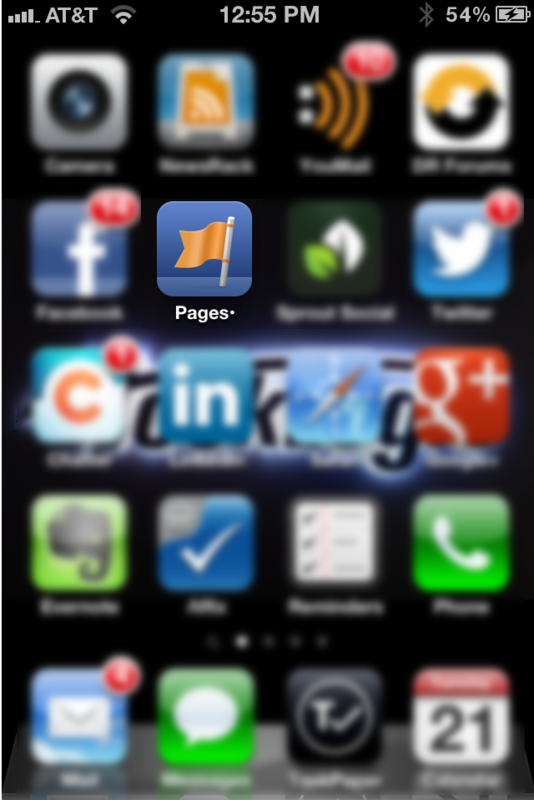 If you’re in charge of your dealerships Facebook page or multiple pages and you have an iPhone, this app is a necessity. 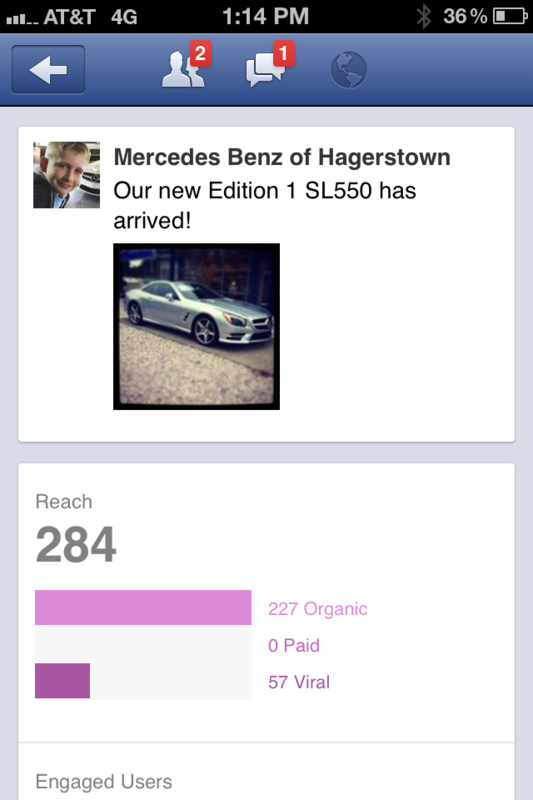 The Facebook Page Manager app is an asset for any social media manager at the dealership. Heck – it might even be a way to get the Dealer Principle and GM onboard with Facebook (if they have an iPhone). Get notifications about new activity on your Pages right away – Perfect for reputation management? 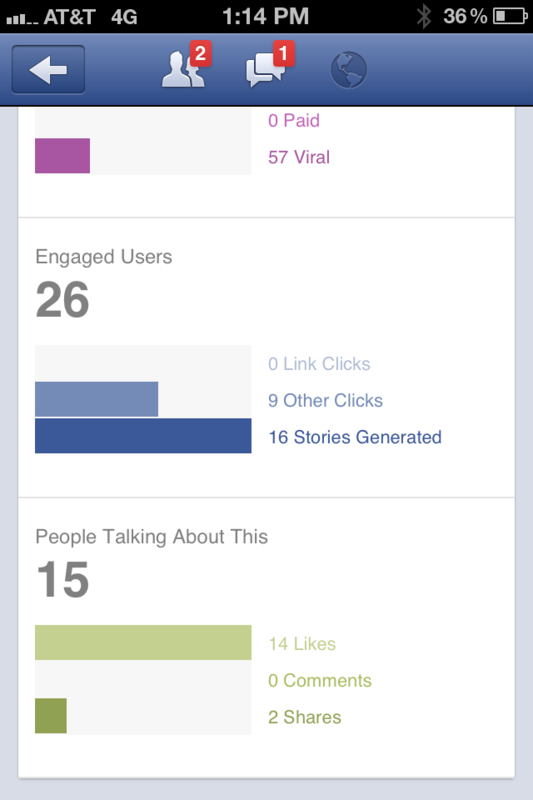 Facebook Pages app will now allow you to “Promote” posts right form the app. This is a great addition to the app! 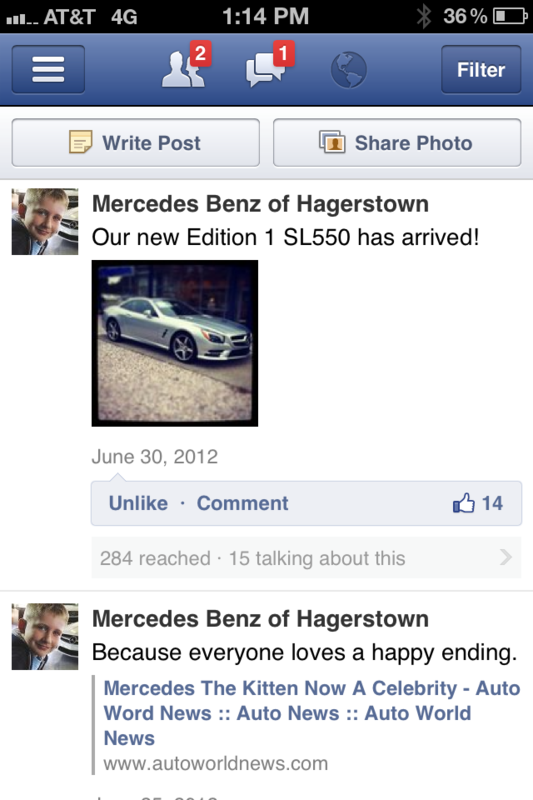 It’s amazing how much action a mere photo of a rare or new Mercedes-Benz will receive on Facebook. More than half of mobile users visit Facebook daily. These numbers show that Facebook is still the most frequently checked website on the Internet! 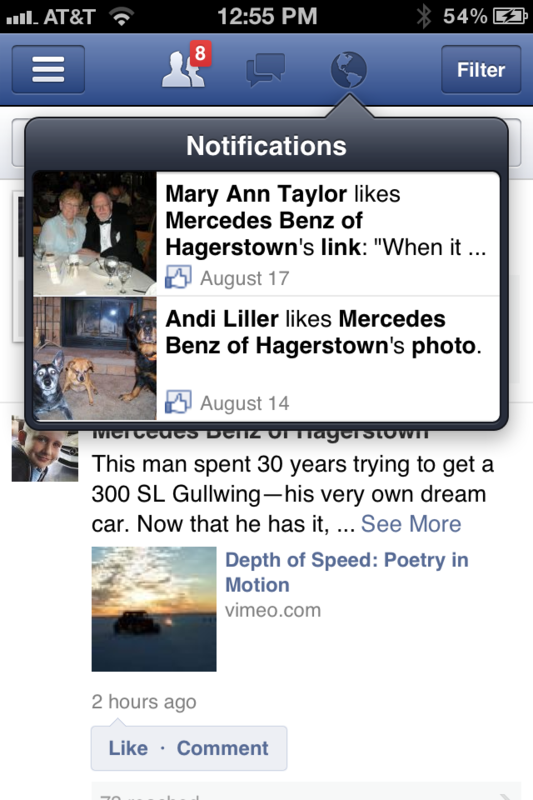 Do you have the Facebook Pages app on your iPhone? Looking to get your managers / GM or dealer principle involved in your social efforts? If they have an iphone, encourage them to download this app. Different Josh here, just saying, no comparable app for Android? First app I’m getting for my soon-to-have iPhone5. I’ve been wanting to use something like this on my Android. What’s the story re: iPhone only? Josh, from what I there currently is not a Pages app for Driod. Only for iPhone. One would think (considering the stock price), Facebook would not only have a Driod app but would also provide the ability for admins to use the new “Promote” post feature right from the app. A quick and easy way to Post and pay to Promote that post. Resulting in more revenue for fb. It’s a feature I would use for sure. I’ll probably use this for my online business so I’ll be able to do business while on the go. @EleyDuke let me know if you use it and how it works out for you. @dealerrefresh I am going to try it. Facebook has been really slow on iPhone and aggravating. FYI – as of a few weeks ago (maybe even longer), Facebook Pages app for iphone will now allow you to “Promote” posts right form the app. This is a great addition to the app!